Cinos is a leading Systems Integrator with offices in the UK, Singapore and the US. They boast high profile clients including British Airways, ITV and Caterpillar to name a few. The company prides itself on maintaining premium quality service and support. 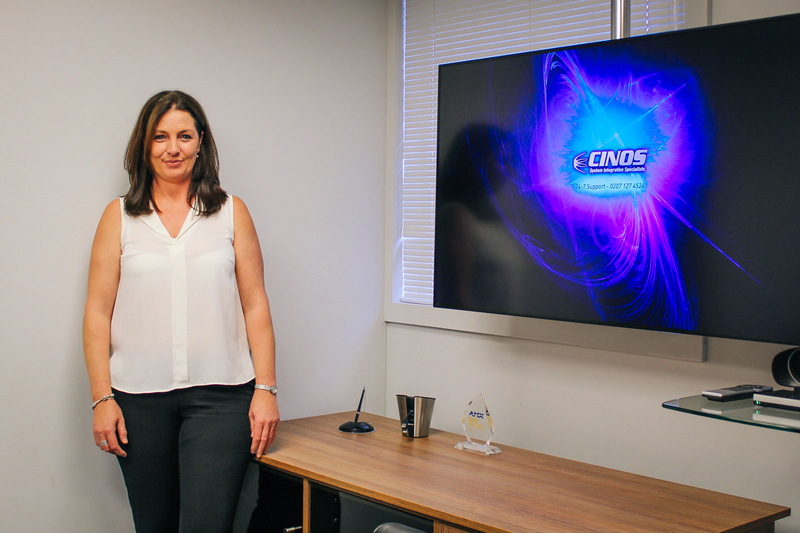 Johanna Guest, Operations Director at Cinos, joined the company six years ago and set about finding software to support their high service levels and help the business grow. Jo held a background in software implementation so she knew exactly what to look for and what questions to ask when it came to sourcing the ultimate solution to manage their global operations. The software Cinos had in place before simPRO wasn’t cloud based which presents enormous issues when it comes to competing in a vertical that relies on managing staff in the field. They needed information and data to be live and accessible in real time especially since the business was in a state of growth. Much of the team are wearing multiple hats so it’s vital they all work from one cohesive system. simPRO satisfied Jo’s extensive list of requirements but she needed to get the new system implemented quickly. For some businesses that can mean up to six months of migrating data and processes from an old infrastructure to get new business management software fully integrated into all areas of the business. For Cinos, three months is all it took for the new system to be fully integrated. For Jo a typical day involves working across three different time zones, in various roles from HR and accounts to making sure they have relevant stock. The benefit of cloud software and an open API means she can explore what other software can be added on to work with simPRO to meet their growing business. The company’s tagline is ‘Believe in Excellence’. Jo holds a strong view that providing exceptional service is key to their success and helps them to win work for globally recognised brands such as British Airways. Cinos are ISO 27001:2013 accredited. This is a globally recognised standard for establishing, implementing, maintaining and continually improving an information security management system (ISMS). Since the implementation of simPRO, Cinos have seen seen enormous improvement in efficiency particularly in the areas of stock management and administration. With just three people doing all the admin for a business with a £10 million turnover, Jo is certain that this would not be possible without simPRO. Now there is no looking back. She’d still be working after hours if it wasn’t for simPRO. She’s now able to enjoy holidays with her family and can log in to simPRO remotely to keep an eye on things back in the office while taking in her beautiful surroundings. What’s Jo’s advice to others considering simPRO? We are a leading system integrator specialising in the delivery and maintenance of intelligent video solutions and services to a global marketplace. Founded in 2007 we have established a reputation for delivering the highest levels of quality, service and support.